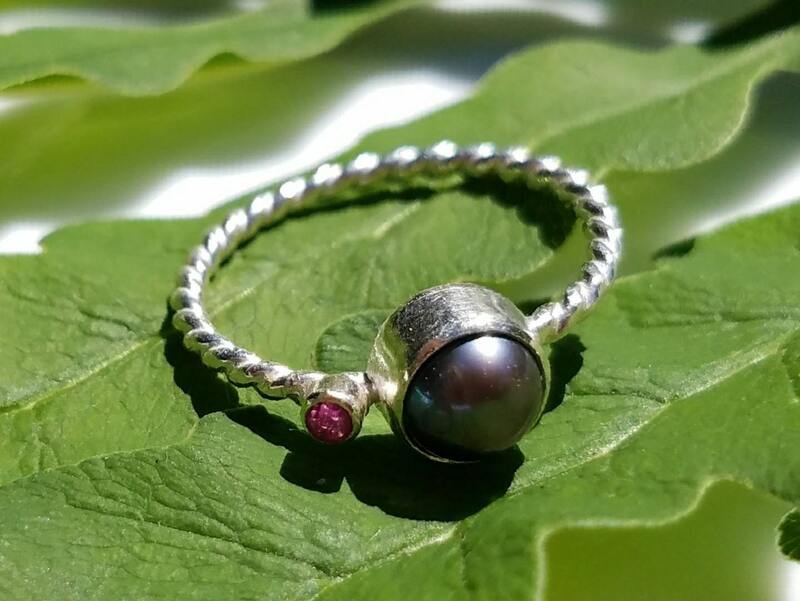 This ring features a lovely, elegant peacock pearl of iridescent purple with a subtle metallic lustre. 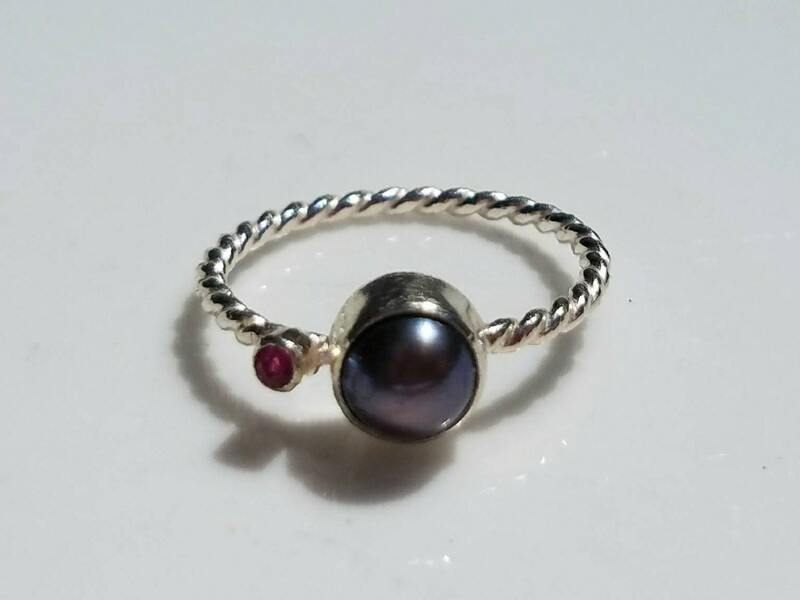 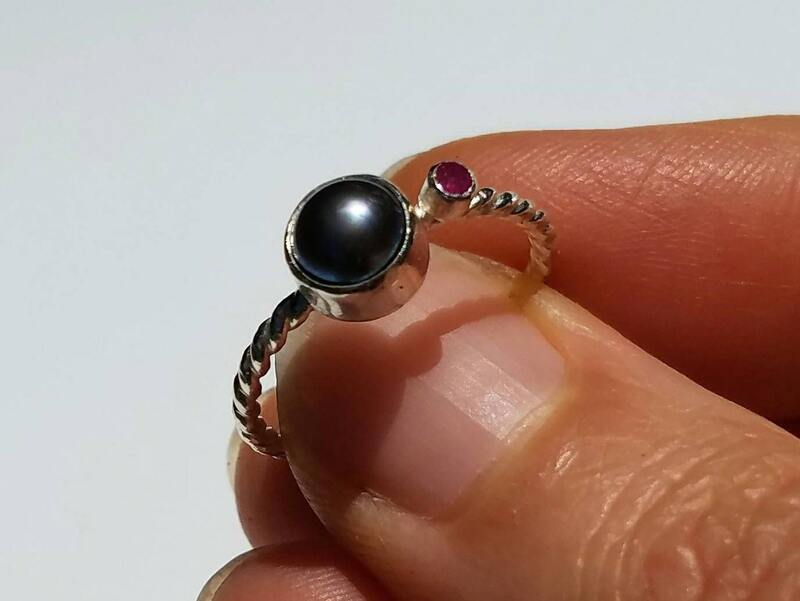 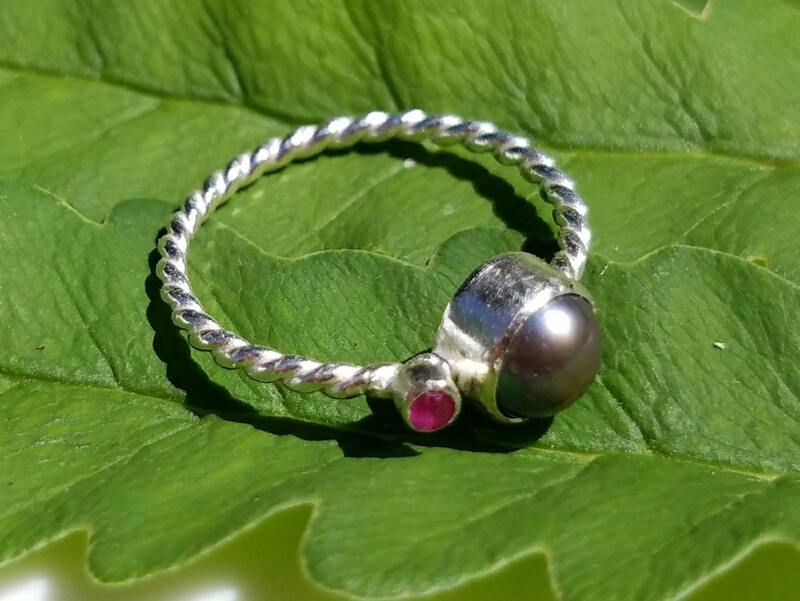 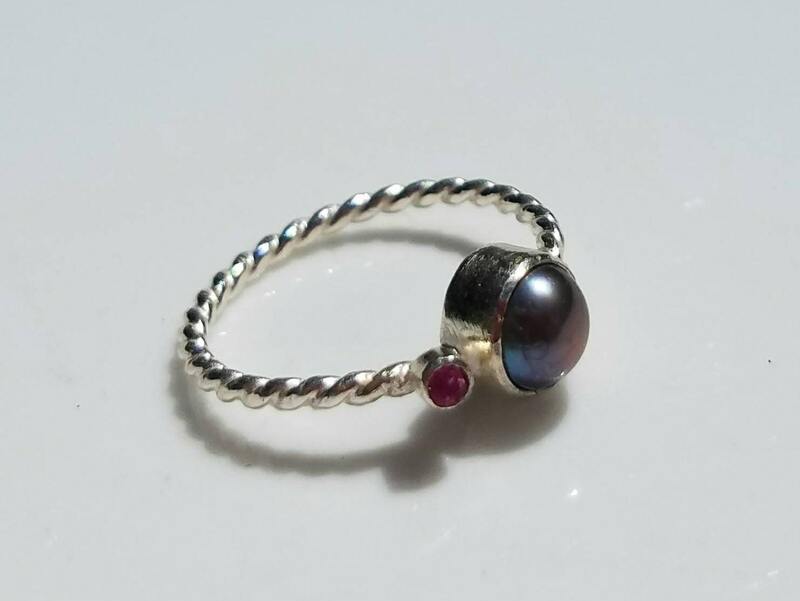 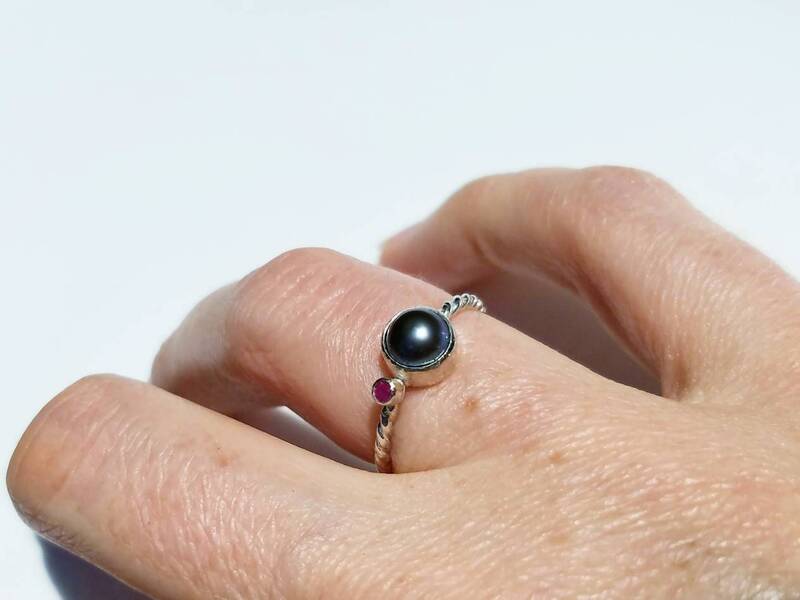 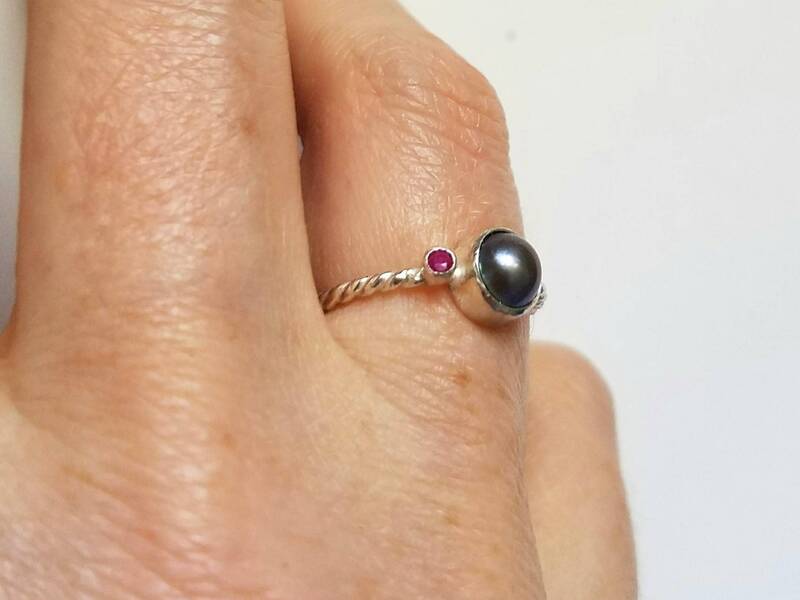 I built the setting out of fine and sterling silver and accented the ring with a 2mm natural ruby, which brings out the dark pearl's pink undertones. 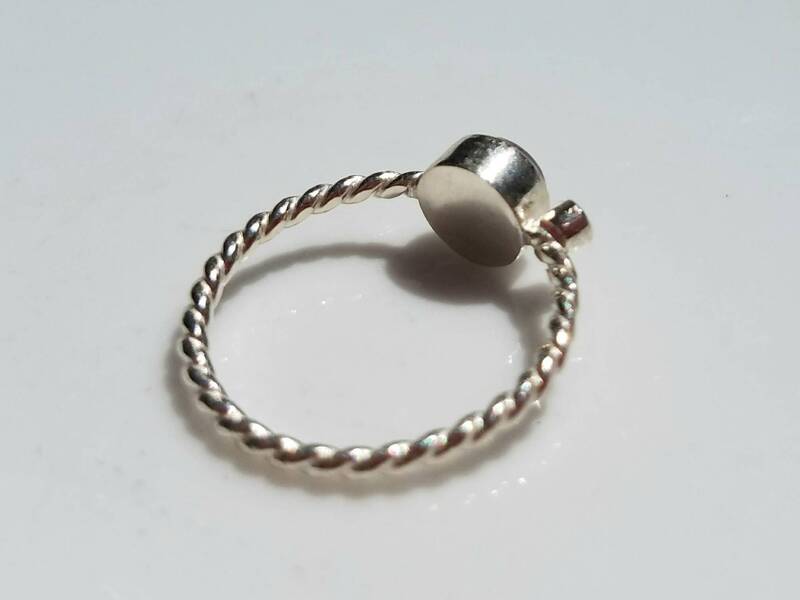 The twisted band is 1.6mm thick. 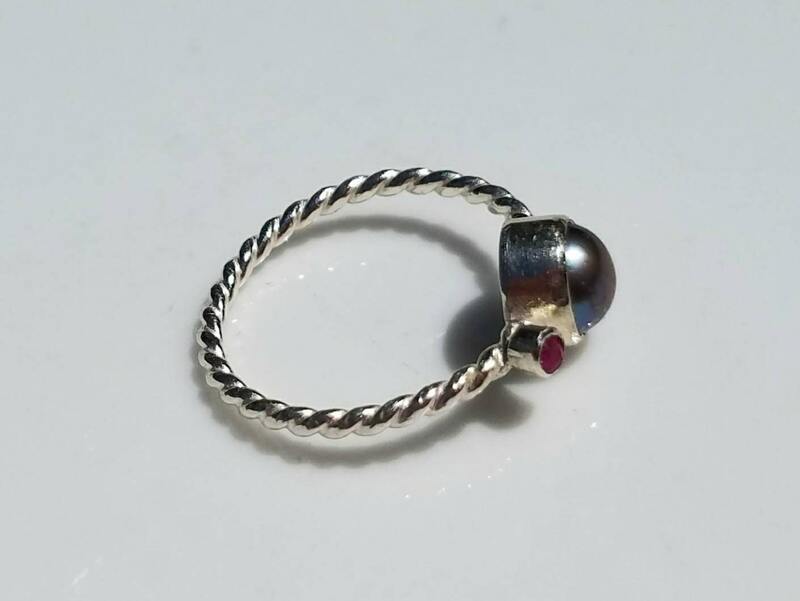 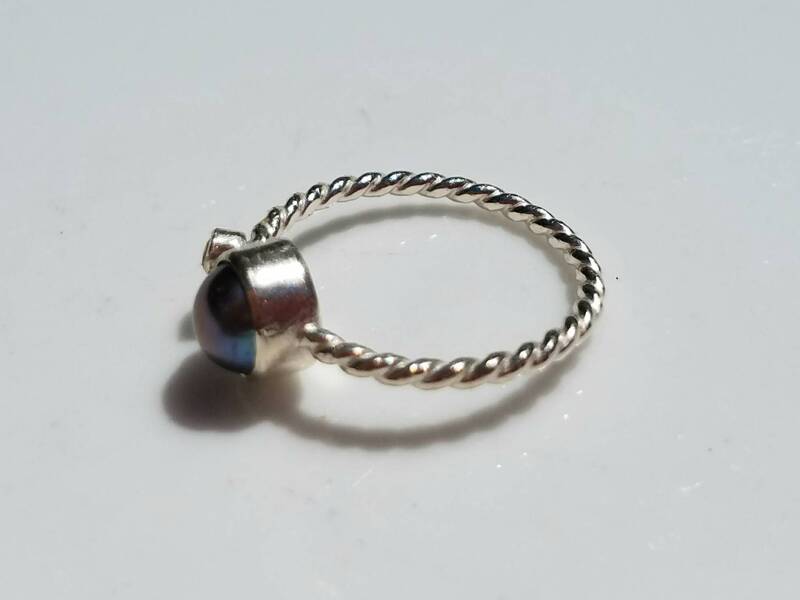 This ring is one of a kind, size 6.5.